The quarterback attempted more than 100 fewer passes last season but was as efficient as ever. And by throwing shorter passes, he led the Saints farther than he had in years. After 17 seasons and 249 games, Drew Brees isn’t showing many signs of decline. Soon, the 39-year-old Saints quarterback will leap over Peyton Manning and become the NFL’s all-time leader in passing yards. He’s 1,496 yards away. There are moments, though, when Brees, a likely first-ballot Hall of Famer, is just like most quarterbacks. Turn up the pressure, and his performance drops off. That’s when he plays less like Peyton and more like Eli. 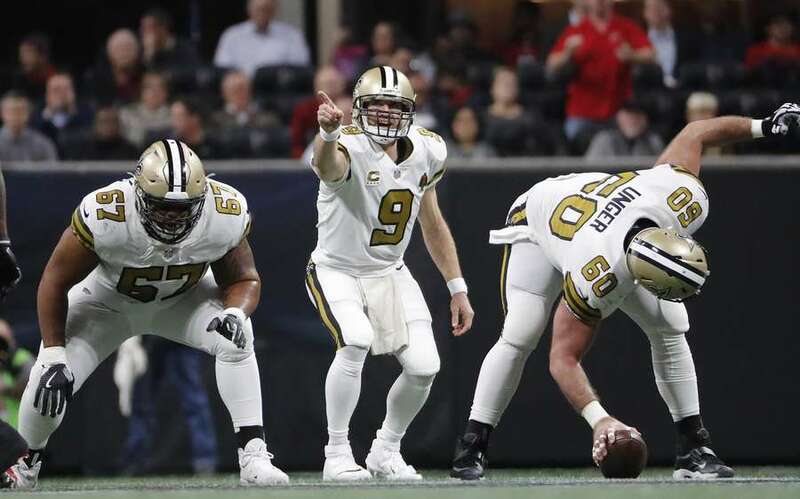 Getting in Brees’ face will be the goal Sunday when the Bucs travel to New Orleans to play the Saints and debut their rebuilt defensive line. But don’t count on seeing much of a pass rush. Few are as good as Brees at evading pressure. He faced the lowest rate (22.4 percent) of any quarterback last season, according to Pro Football Focus. “He’s really good,” Bucs defensive coordinator Mike Smith said Wednesday in the understatement of the week. “He understand (Saints coach Sean Payton’s) offense, and he knows where to go with the football. I think that shows in last year’s percentage.” And his completion percentage the season before that. And the season before that. And the season before that. A 70 percent completion percentage used to be unheard of, but for Brees, it’s almost routine. He’s done it four times, most recently last season. Let’s put Brees’ completion percentage in context. The quarterback who held the record before him? Sam Bradford, who completed 71.6 percent of his passes for the Vikings in 2016. He didn’t do that by chucking the ball all over the field. Short passes were key to his success, as they were for Brees in 2017. Brees led the NFL in yards gained via screen passes (593) and targets to running backs (180). Running backs weren’t nearly as much of a factor in the Bucs’ passing attack. Charles Sims, Peyton Barber, Doug Martin and Jacquizz Rodgers saw 95 targets combined. The numbers don’t show a decline in the effectiveness of Brees’ deep passes — for five straight seasons, he has posted a rating above 100 on passes that travel at least 20 yards — but he is throwing deep less often. His average pass length of 6.4 yards was the lowest in the NFL last season and the lowest since he joined the Saints in 2006. Brees’ favorite target last season besides receiver Michael Thomas? Running back Alvin Kamara. Only four running backs in modern NFL history (since the 1970 merger) have averaged at least 6 yards per run and 10 yards per catch, and last season Kamara become one of them, joining Barry Sanders (1997), Jamaal Charles (2010) and C.J. Spiller (2012). According to Football Outsiders’ advanced metrics, Kamara was so effective as a pass catcher that he gained 278 more receiving yards than a replacement-level running back. Oh, and in case you forgot, he can return kickoffs for touchdowns, too. 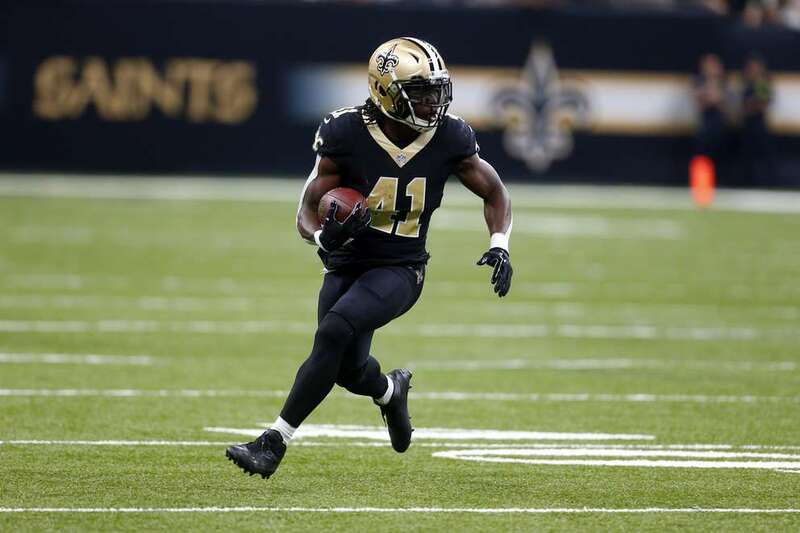 “There’s probably not a guy in the league that has done as much as he has done in his first year, both running and catching the football,” Smith said of Kamara. 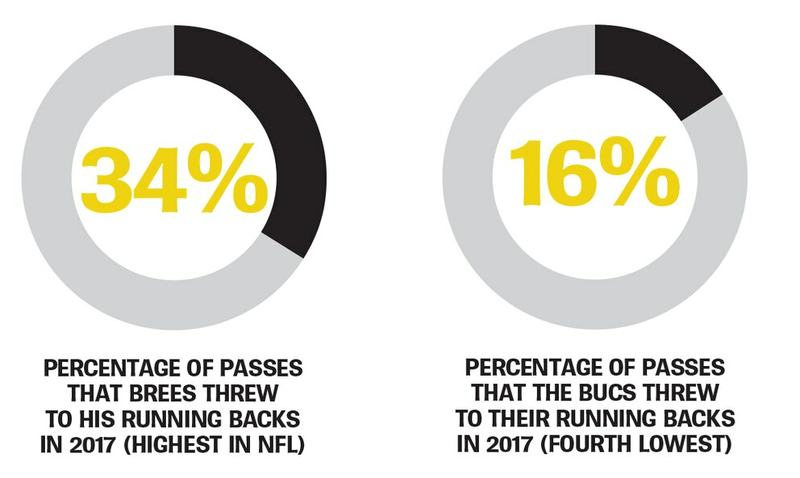 “It does stress you, and I think that’s one of the reasons Drew’s passing percentage was so high last year, is that he was really good and really accurate at getting the ball in the hands of the running backs.” The Bucs linebackers will be the ones most responsible for containing Kamara, who caught 12 passes for 168 yards and a touchdown in two games against Tampa Bay last season. Will Bucs trade back? Is Rays' start fools gold? Would a Blue Jackets Cup lessen sting for Lightning? 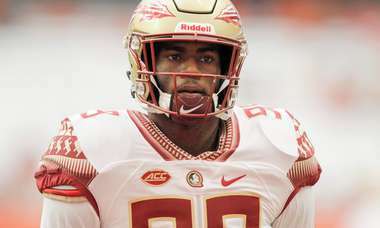 2019 NFL draft: Is FSU’s Brian Burns underrated? And should the Bucs draft him? One projection model rates him as the best edge rusher in this year’s class. Rick Stroud answers listeners' questions on today's mailbag episode. Plus, Gerald McCoy is a no-show for the first offseason workout. And, Mike Evans wants to play both ways. Sports Day Tampa Bay podcast: Has Gerald McCoy played his last game with the Bucs? Plus, NFL coaches will be allowed to challenge pass interference calls. And, the Lightning gives Jon Cooper a multiyear extension.